Bob Gaulke is the New York-based musician/songwriter/producer behind The Record Man, an album he curated to honour the late, NZ-music-loving record collector Ron Kane, and which featured a selection of the musicians he loved so much. 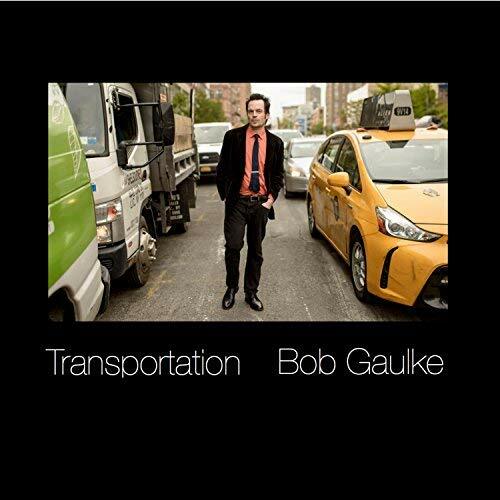 While The Record Man solicited contributions from many, Transportation is a very different kettle of fish: a 9-song album that finds Gaulke in singer-songwriter mode. 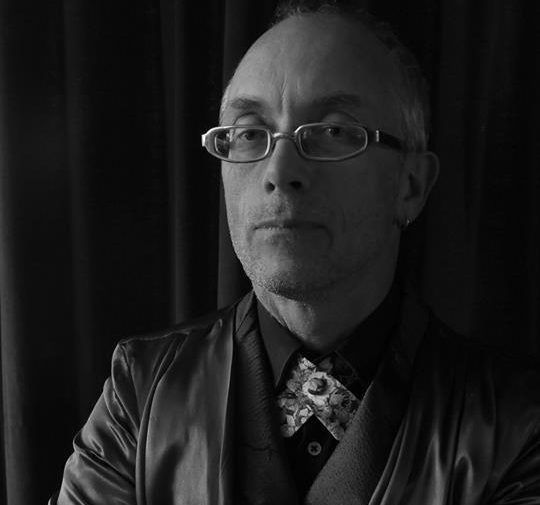 Although, like Kane, Bob Gaulke was smitten by the eccentric power pop of The Swingers and other NZ groups of the early ‘80s, recent years have seen him fall head over heels for Brazilian music, and Transportation in part reflects this from a stylistic point of view, with an attractive, shimmering Latino feel via its acoustic guitars and horns and the understated, laconic vocals of Gaulke (who at times sounds rather Lou Reed-like) and Peri Mason. It’s an unusual record with a downbeat, almost hushed feeling about it. The instrumentation – which includes bass harmonica, pedal steel and prominent trombone – ensures that its tonal palette is divergent from anything you’re likely to hear on the radio, and sounds fresh as a result. Why Transportation? Well, in song after song he’s going somewhere, commuting on trains and traveling up escalators, and all the while his mind is teeming with the pain of separation and all the other unexplainable phenomena associated with loss. Gaulke has a real knack for expressive lyrics that read with clarity and simplicity – like an un-drunk existentialist Bukowski. It’s an honest record about the inner turmoil of one individual who is feeling middle-aged and frayed round the edges, but who hasn’t given up on life. This is territory seldom traversed and therefore, welcome. For all his skills, perhaps what Gaulke lacks is the ability to fashion a melody that sticks in the subconscious. Paul Carrack has been doing just that since his time with Ace back in the mid-‘70s and then again with Squeeze in the early ‘80s. Who could forget ‘How Long?’ or ‘Tempted’? Carrack writes songs that feel like he’s just shat them out in no time at all but somehow, they’re perfect. He’s not a natural born lyricist and it was his collaboration with Chris Difford that made ‘Tempted’ insinuate itself so wonderfully. 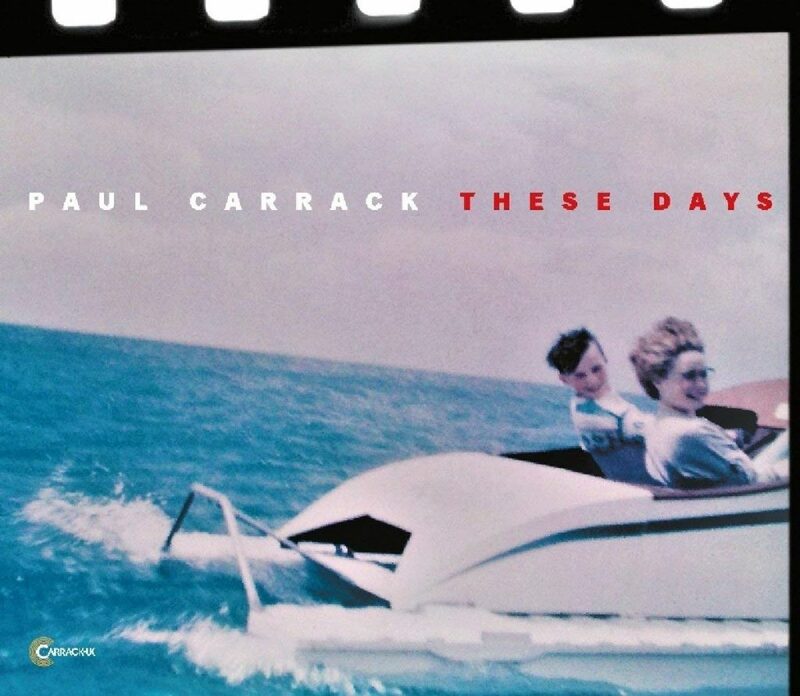 But it’s a long time since he’s been on my radar and I was shocked to find that These Days (Carrack/Southbound) is Paul Carrack’s 17th solo album! He’s lost none of that inherent songwriting nouse and the 11 songs here have that uncanny ability to feel like they’ve always existed and were just waiting for someone to get them down on tape. It’s a great pity, then, that the whole thing feels like a lazy exercise in nostalgia. It’s no surprise to discover that Carrack is a regular touring guitarist with Eric Clapton, because These Days sounds nearly as uninspired as recent EC albums like the dire Old Sock. There’s something really irritating about the fact that Carrack has grabbed some crack sidemen for the project (again, Pee Wee Ellis was nabbed from EC’s band, and he’s also got heavy-hitters like Robbie McIntosh and Steve Gadd on board) but never makes them even stretch their legs. This is a warm but weak, off-the-boil soft soul stew that takes the occasional diversion into blues, reggae and country and sounds like the kind of record that’s made for retirees who are quite happy to slide towards Alzheimer’s. It’s good that lyrically, he’s happy to discuss subjects relevant to his age group – the kids leaving home and time moving on – and Difford even contributes words to five songs, but they’re toothless and entirely lacking insight. 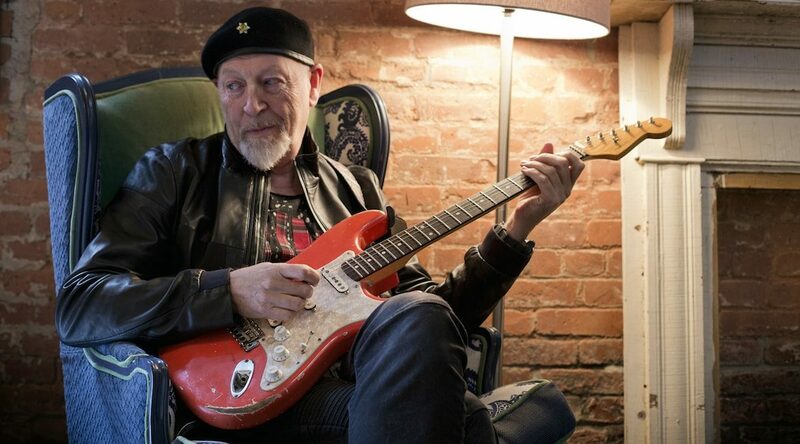 There’s one singer-songwriter who stands head and shoulders above most: Richard Thompson. If there ever was a musician who was simply too good to be popular, it’s Thompson. It’s hard to think of anyone else who has kept pumping out records of quality and distinction without a break for the best part of 50 years. Where others inevitably hit their foul and fetid patches, Thompson just keeps churning out hard-husked songs, and he’s always got insights to spare and a few cracking guitar solos to boot. 13 Rivers (Proper/Southbound) sees a stripped back lineup performing songs that sound urgent and necessary. Thompson is 69 now, and clearly has nothing at all in common with Paul Carrack. 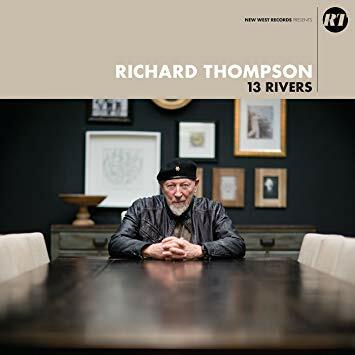 Mind you, from the tenor of this latest batch, Thompson hasn’t achieved – or perhaps been able to hold onto – domestic bliss, so is still going through the emotional churn typical of someone half his age, or less. It’s just that he’s looking at it all from a different perspective. You could accuse him of being one of folk song’s genuine miserable old bastards, but then, even as a young man he had a peculiarly bitter take on life. Maybe that’s what’s kept him from mass appreciation, along with the fact that there’s something unforgiving, even austere, about his presentation, including that voice. A bonus for fans though, is that we know something the general public doesn’t: that a Richard Thompson song might sound a lot like any other the first time you play it, while successive plays keep on revealing hidden secrets. Thompson is known for helping to create a specific type of English folk-rock sound, and he’s pretty rigorously stuck to that over the years, with minor variations in lineup, and a new producer now and then to give a new record a slightly different aroma. 13 Rivers is self-produced and the songs are flint-like and no-nonsense and urgent, and his guitar playing – for which he is justly legendary – burns with the same intensity. That guitar expresses more in a few bars than Mark Knopfler has in a lifetime of 14-minute doodles. The next two records have been out for an age (well, let’s say a few months) already, but it seemed a shame not to mention them. 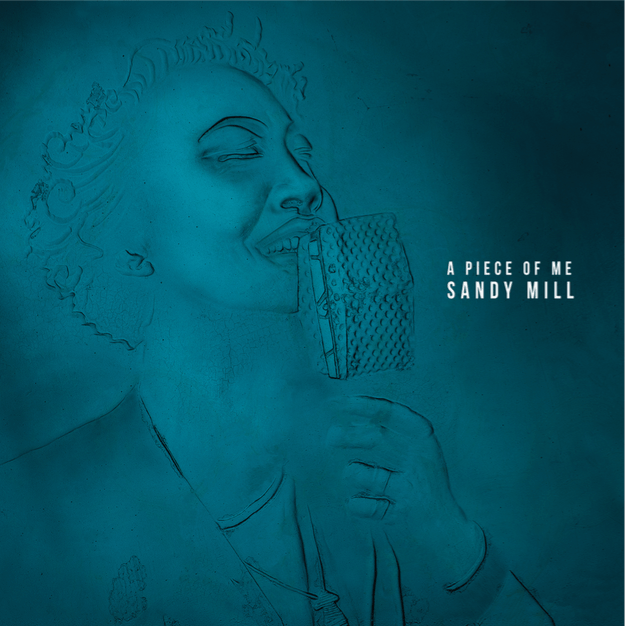 I first came across Sandy Mill in the anarcho-jazz group Spacesuit (whose impossibly rare, self-titled 2000 CD-R release is well worth hunting down) but since then she’s become a go-to gal for anyone wanting a really great, authoritative, soulful voice on their albums, and her collaborations and guest spots include the likes of SJD, The Bellbirds, Pitch Black, Placebo and many others. But believe it or not, A Piece Of Me (The Label) is Sandy’s first proper solo outing. A 5-track EP that’s hopefully a taster for a real long-player, the whole thing has a resonant, organic sound and includes backing musicians like Milan Borich (formerly of Pluto), Dianne Swann (The Bads) and Sean Donnelly (SJD). go – are all top draw efforts. While originality isn’t perhaps their strongest facet, they do in fact frequently refuse to conform to expectations, and each song has its own thing going on. ‘Let It Go’, for instance, at first sounds like an up-to-the-moment, synth-led electronic track, but the tune takes a sudden u-turn for an earworm chorus featuring strident guitars. There’s even what sounds like a choral infusion towards the end. ‘Light Of Day’ is more of an old-school smouldering smoul tune, and it’s a style she owns. It’s great also to hear lyrics about gathering strength and courage and surviving. Similarly, on ‘Hey Debonair’, it’s clear that she’s not going to fall for this guy’s romantic trap. 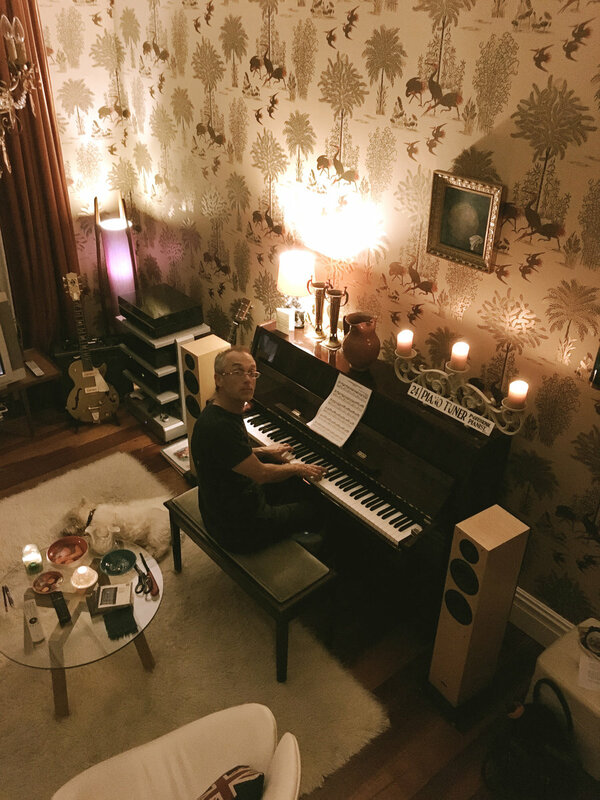 Like Sandy Mill, Dominic Blaazer has over many years established a Class-A name for himself as a multi-instrumental accompanist, and can be heard adding his x-factor on records by everyone from Don McGlashan to The Chills. He’s also presided over a number of little known but respected groups, including the memorably named Peter Stuyvesant Hitlist. 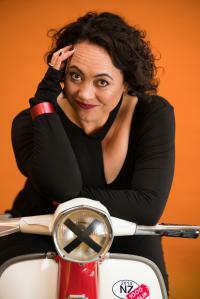 Lights Of Te Atatu, his solo debut, is something of a shot out of the blue, and what a shock it is. As its name suggests these songs are firmly positioned in the NZ firmament but their stylistic origins are American, and improbable as it may seem, this is an album of MOR blue-eyed soul with broad hints of the kind of piano troubadour shtick for which Billy Joel is known. While this might sound contrived in theory, it’s obvious that Lights Of Te Atatu came from somewhere deep inside Blaazer’s musical psyche, because its 10 songs flow with an ease that many international exponents of manufactured nostalgia would crave for. It’s easy to accuse a record so steeped in a musical past of pastiche, but Blaazer uses this deeply unfashionable style to his own ends and never comes out sounding less than fresh in the process. Maybe that’s something to do with the heartfelt lyrics, which successfully manage to update what some may interpret as tired old cliches with enough observational diversions and clever twists and turns to make them seem new again. I hate to mention Joel again, but – regardless of critical cache – the guy has written a lot of memorable songs with words that resonate with a certain kind of clarity that hits the right spot. Blaazer writes with more subtlety, but his observations are eminently relatable. For instance, on the title track he’s commenting on the idealism of young love, having moved overseas, and becoming wistful about now spoiled relationships. ‘Whatever You Need’ is a modern recapitulation of ‘You’ve Got A Friend’ in which he’s giving warm-hearted assurance to a troubled buddy. And on ‘The Reason I Care’ he’s addressing the way one callous male treats his female conquests, and the unfair price they have to pay. Blaazer’s heightened state of human observation (and interior soul-searching) really benefit the songs, some of which are modelled on classic string-soaked ‘70s soul, while others cleave fairly close to that MOR singer-songwriter template with an added dash of swinging blues here and there. No matter what the style, these are all songs that you quickly find yourself humming along to, which says a lot about just how skilled he is as a songwriter.